0:31 – AID ITEMS – On the side of temporary buffs, things like Buffout, Cooked Radtoad and Radastag, some alcohol, or a Strength Bobblehead can get you to that next workbench or stash to make it easier on yourself. On the flipside of that coin take some consideration into how much you’re carrying in chems, food and whatnot, because that will add up too. Do you need to carry 30 Rad-X? Probably not, especially if you have a Hazmat suit or Power Armor. If you’re not using your Psycho, Buffout, Mentats and other chems of the like, those can sell well at protectron vendors. The same can be said for the bobbleheads you’re carrying; excluding the strength one of course, always hold onto those! Unless your character has parasites you won’t be needing to hoard a ton of food or even water either! Since fresh food does spoil too, check towards the bottom for your spoiled items, because you can drop those or turn them into fertilizer. 1:20 – PERKS – With fallout 76 being so much about scavenging, it’s fair to add a couple of points into strength when you level up. Do take note that there are carry weight reduction perks for specific items, mostly in the strength category. You can find a couple in intelligence and agility too. If you are way into looting and scavenging, I recommend at least one rank of Pack Rat (STR), Traveling Pharmacy (STR), and Thru-Hiker (AGI). Take note that these perks only apply to the weight being carried on your character, not in your stash. Strong Back (STR) is an option too, which can give up to 40 carry weight for 4 points of strength, however if you know what you carry more of, you will benefit most from the weight reduction perks instead. 2:07 – MUTATIONS – Our amazing randomized traits we get when taking in radiation. A couple of mutations I want to mention here though, starts with the Marsupial mutation. This is the one that dramatically increases your jump height and increases your carry weight pool by 20 at the cost of 4 intelligence. Herd Mentality is also worth mentioning because it gives a two point bonus to all your SPECIAL attributes, including strength while you’re in a group. However, that 2 point reduction when going solo is pretty devastating. 2:34 – ARMOR & MODS – Now for the armor and weapon mods section, if you’re able to carry around extra pieces of armor to break down at an armor workbench, scrapping it will have a chance to teach you a modification for that armor. The mods we’re hoping for here are the Light, Ultra-Light, Pocketed or Deep Pocketed mods, which respectively reduce the weight of your armor, or increase carrying capacity. Now here’s a fun recycling trick, if you’ve ended up hoarding a bunch of armor making materials, why not use a good chunk of that to craft something you’re already wearing, and afterwards break them all down one by one, in hopes of getting the modification you’re looking for. This in turn is less wasteful than just dropping your surplus resources, and also doesn’t leave them just sitting in your stash. The same trick can be applied to getting mods for weapons as well. 4:04 – AMMO & MISC – Ammo has weight in Fallout 76, little as it is with the smaller bullets, if you’re not using them you can rack up hundreds! Since the plan is to reduce weight it’s advised to toss out the ammo you’re not using or give it to another vault dweller who does use it. Fusion Cores and Plasma Cores, 40mm Grenades, Missiles, and especially Mini Nukes are all really heavy. 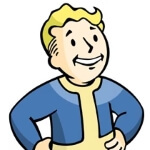 Say you prefer rifles over pistols, why not toss out the pistol ammo or better yet find another vault dweller you can exchange with if they use pistols. There are a couple of misc items you’ll want to keep an eye on too, one of which is Bobby Pins after you’ve collected a few. If you’re really bad at picking locks, maybe hold onto about 20 or 30, but if you’re okay at it, there’s no need to hold onto any more than 15. Also Gunpowder is in the misc category, and I’ve been advised that you don’t really need more than 50-100 because there’s even perks (Scrounger in Luck) to pick up more ammo anyway. I didn’t realize this because it didn’t apply to my melee character, by about level 40 I found I was carrying about 1400 Gunpowder which was 70 points of carrying capacity that I could have had! Don’t make the same mistake I did, keep an eye on your misc tab too! 5:10 – JUNK ITEMS & SCRAP – First I want to talk about the difference between junk items and scrapped components. Junk items are your Teddy Bears, Desk Fans, Tin Cans, Typewriters, that kind of thing. Scrapped components are what you get from them, so ateel, aluminum, screws, leather, cloth, what have you. More often than not, junk items are much heavier than their base components. So when you’re going through and reducing the weight of your stash especially, make sure you don’t have something sitting in there that you should’ve scrapped. This advice goes for equipment you’re not using as well. If any of the scrapped components in your stash are reaching stacks of 75 to 100 it’s probably a good time to use it or toss it out. An exclusion to this rule would be Ballistic Fiber, you always want more Ballistic Fiber. in fact if you have a surplus of Ballistic Fiber you can use it to trade with just about anybody for anything. Depending on your build too, you can add your own exclusions like screws, springs or whatnot. Again if there’s multiple types of junk that are reaching the 75-100 mark, I’d advise you to start downsizing. 6:08 – C.A.M.P. BUDGET – If you’re wondering what to do with your spare building materials, your steel, wood, and concrete, here’s a more meta-trick involving your C.A.M.P.’s budget. 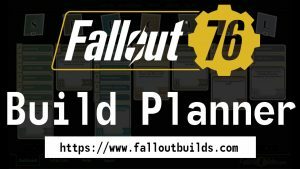 Build a bunch foundations, walls, and worktables, all things you’d normally use when you spawn your C.A.M.P. elsewhere. Just make sure you’re not doing this in a public workshop. Now switch to edit more, select them, and store them! This stores both the materials you built it with, and an object you can use later at no cost except the budget on the upper-right-hand side. Unless you’re building and storing defenses, you can get away with storing away a lot of things this way. As a little bonus, food plants don’t spoil if you store them like this also. I wanted to mention a recent discovery on this too, when I came back to check on my stored objects, not all of them were present. Whether there happens to be an issue with decaying on them, or something to do with server maintenance or whatnot, either way, I figure that should be mentioned as well. Even with the chance of disappearing, using this trick is still better than tossing out the materials entirely. do you personally have any tips that work best for you? If so please share it in the comments!